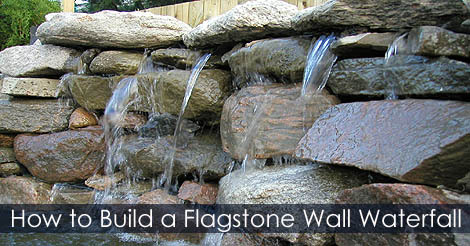 How to Build Pond Waterfalls Inexpensively. How to Build a Wall Waterfall. Landscaping a water garden? Tips for unique water features in your backyard? 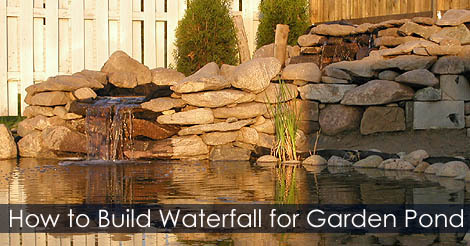 USA Gardening articles will teach you how to build an awesome rock waterfall and wall waterfall. Enhance the quality of outdoor living by creating an ambience. Bring a noise and a aesthetic in your garden! Why not to convert the space under a deck into a dry by installing this under-the-deck roof and gutter system. Using recycled steel roofing sheets and gutters for a cheap shelter under your raised deck. It's a good area for wood drying! How to build a Garden greenhouse with old windows and recycled materials. Backyard Indoor Design Ideas and pictures plans. Anchoring, framing and layout ideas. Hobby greenhouse built like a commercial greenhouse!